Invite friends over for tea and show off your Shannon Bridge three piece tea set that includes a teapot, jug and sugar bowl. 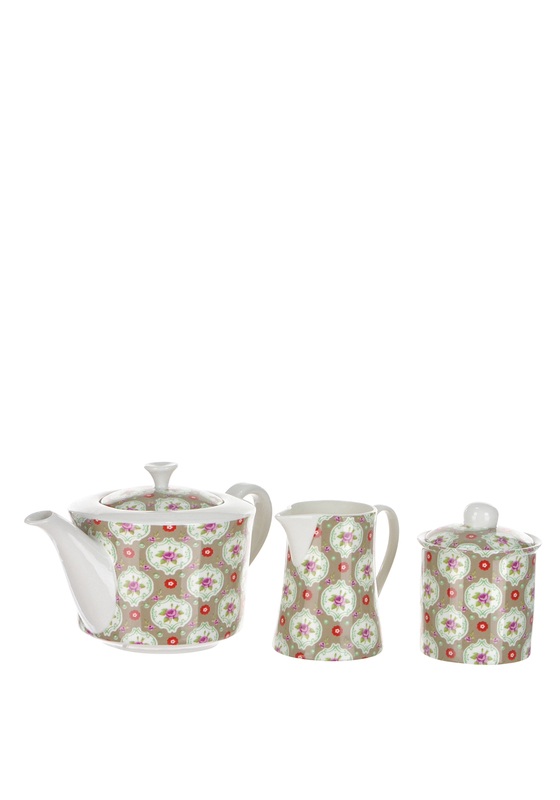 Handmade in Ireland by Shannon Bridge pottery this set has an ogee design that featuring a pink blooming flower in the centre. 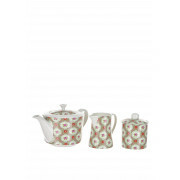 Theme this set up with other matching crockery from the Buds Range.